Apart from being a great actor, Ranveer Singh is also a big football enthusiast. 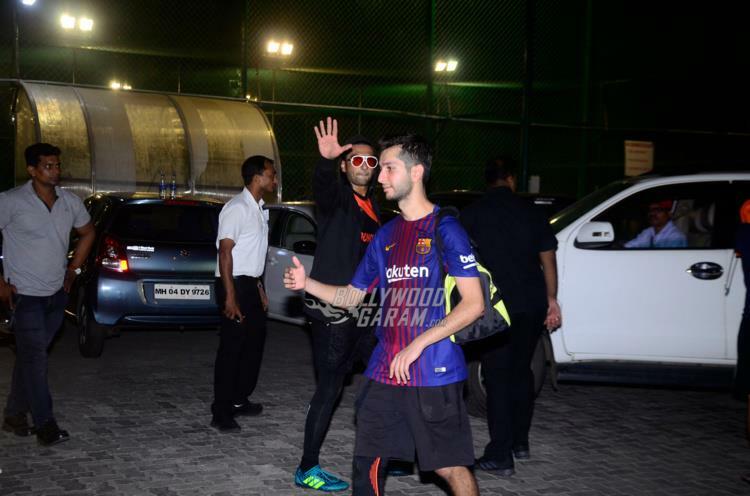 The Bajirao Mastani actor was snapped after a football match in Mumbai on October 30, 2017. 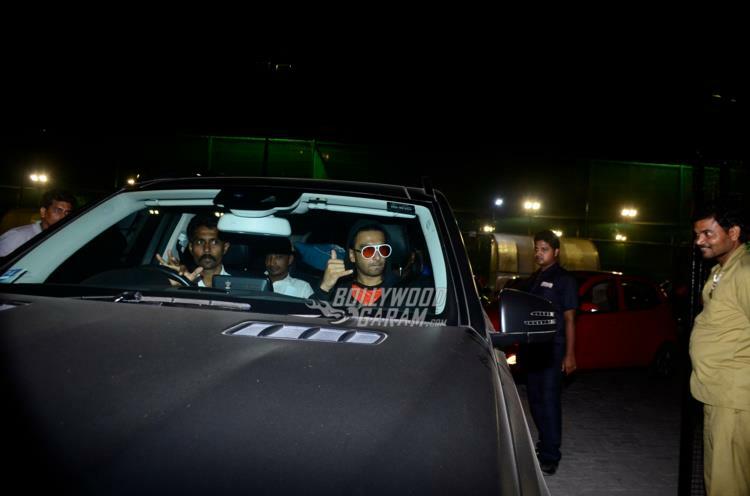 Singh was seen having a conversation with some of his friends and then drove off in his car. 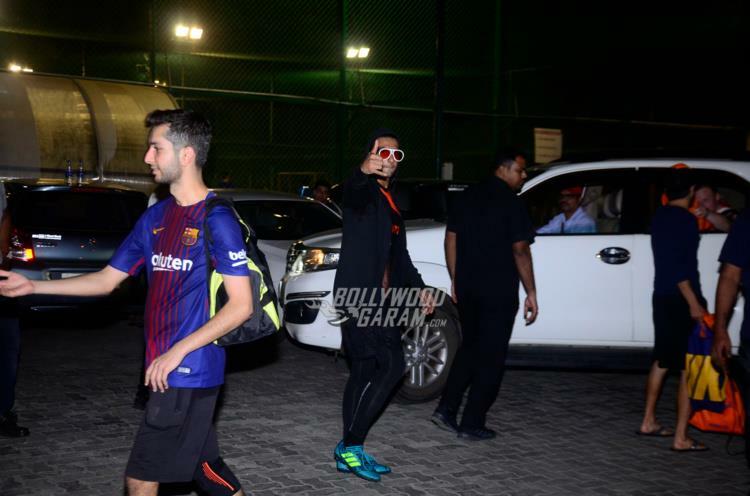 Ranveer, post the football match, was seen in a black hoody and black pants. The actor is currently looking forward to the upcoming film, Padmavati which also stars Deepika Padukone and Shahid Kapoor. The film is helmed by Sanjay Leela Bhansali and will be released in theatres on December 1, 2017. 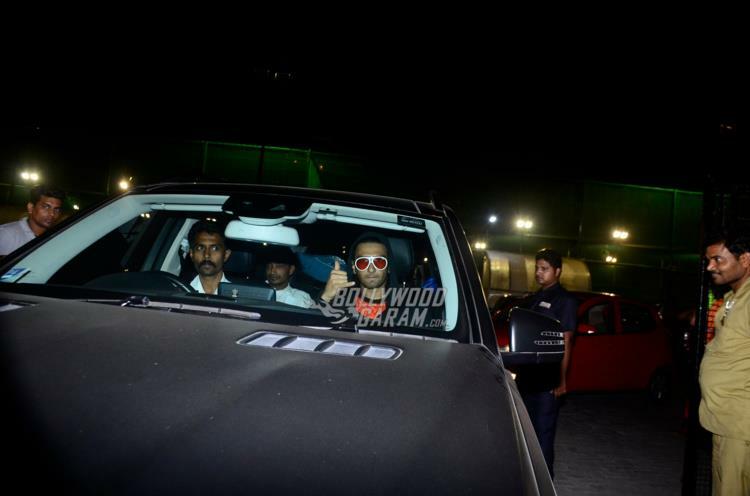 Exclusive photos of Ranveer Singh post a football match in Mumbai!